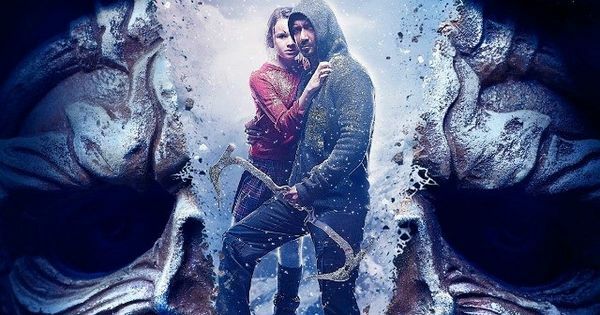 Shivaay Review Rating: Shivay movie. Ajay Devgn is coming this Friday with his house production, Shivay. Shivaay is one of the biggest releases of this year in India. The film is successful in bagging more than 2400 screens around the country. Film is directed by superstar Ajay Devgan himself who had also produced it with a whopping budget. It’s believed that Shivay is none other than his dream film which he wants to do before getting retirement. The movie trailer and songs don’t reflect much about the storyline. Because of that, there is a kind of excitement in the air for Shivaay review. Ajay Devgn aka Shivaay is a mountaineer who takes the people to ride Great Himalayan mountain range. He has good friends over there. Erika Kaar aka Olga is Bulgarian who is in India to spend some great days; the film sequences goes into a way that stressful situations make them fall in love with each other. They came close, and Erika got pregnant afterward. Getting ditched from destiny, Erika doesn’t want to hold the child any long but Ajay Devgn insists on keeping the baby. They mutually got admitted in keeping the baby in a condition that she would be free to leave for her home country after delivery. Erika delivers the baby and leaves for Bulgaria. Check: Ae Dil Hai Mushkil Movie Review. Later it was known that Ajay’s daughter (Abigail Eames aka Guara) who is staying with him couldn’t speak. As she grows, she keeps on insisting his father meet the mother. After various failed efforts, he decided to go and let her meet. But the situations in Bulgaria didn’t match up very well. In Bulgaria, Guara got kidnapped, and he faces the true time to prove his skills. The kickass fight between Ajay Devgn and corrupt authorities could put many films to shame. Ajay had even crossed the Rohit Shetty limit here and totally badass performances could be seen. However, there is strictly no comedy after the duo arrived in a foreign land. The first half of the movie basically focuses on unprecedented scenes and the story of pair falling in love. The kickass performance of Ajay Devgn is literally one of the best things in the entire movie. It’s not clear whether Ajay Devgn wants to relate the film with reality or stick to hypothetically framed instances. The narration is done in a way that it looks quite organic, but the actions are hypothetical. This part of the movie is not much interesting in comparison to what it’s advertised for. The second half of Shivay has quite cinematic views. Breathtaking view and fast actions could take any action lover’s heart away. The movie is actually a great attempt to raise the standards of Bollywood. Abigail Eames (Guara)’s performance is not that much good. She is quite impressive in her roles but nothing in comparison of a girl in Bajrangi Bhaijaan. The emotions in the second half are very strong; Ajay had taken care of every minor detail in the story. Erika should have avoided Hindi alike Katrina Kaif. The direction of Ajay Devgn is not at par. He should have given this task to someone more experienced. You guessed it right, talking about Rohit only. Few comical scenes during the Diwali festival could make the movie hot, but nothing such observed at all. The first half can attract anyone because of unsolved mysteries but the second half doesn’t work very well. For no good reason, the plot of Shivaay had been exceeded for more than half an hour. Shivaay is supposed to be a family entertainer in a season of Diwali; Ae Dil Hai Mushkil had made every possible effort for this, but nothing was seen from Shivay side. What we liked most about this film was the plot. Film had been directed in a way that some fringe clues of the plot were given all the way long in the first half itself, and they resemble in the final episode. Stay tuned. If you watched the movie, don’t mind sharing your Shivaay review. Very bad film. Please don’t waste your money and time on this film. Worst movie in recent time. who says this is a bad movie ?this is ur mentality otherwise its a mindblowing movie with full of emotion and actions.try to enjoy it!!!!!!!!! Stupidity at best pure crap shivay…. Yes, I Agree movie with few edit to make it 20-30 mins short I might had been great movie.. A must watch for Ajay Devgan.. Emotional-Action (well said Pradeep) a visual treat..
Amazing and Fadu movie… Aj made my Day. I think Kjo paid reviewer of shivaay.! Shivay is a must watch movie of the year, excellent movie!